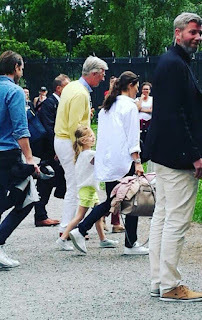 Last weekend crown princess Victoria of Sweden & her daughter Estelle were seen in the company of king Philippe, at their residence - Haga Park in Stockholm, Sweden. Do you think Mathilde joined them? 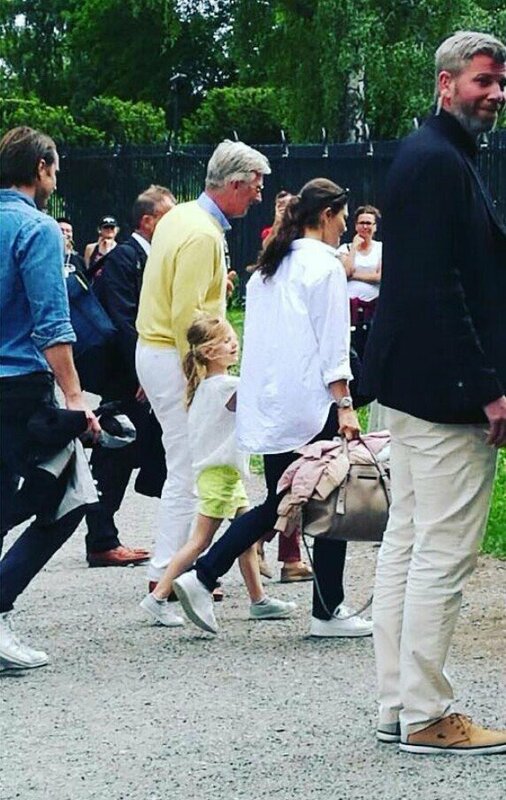 Thank god, when I first saw this picture, I thought that the man really looked like King Philippe, but since the quality was not good, and I couldn't see anyone else in the picture to make sure that it was Philippe, I remained puzzled over it. Now that I know I can finally breathe 😁😁.